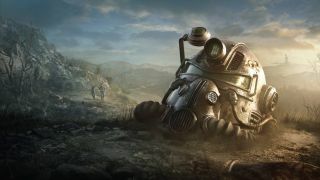 Fallout 76 players have hit back at Bethesda for a new Repair Kit feature that some believe goes against Bethesda's assurances that the game would not include play-to-win items. Scheduled to release in the weeks following Patch 8, there will be two types of Repair Kits available: Basic and Improved. According to Bethesda, Improved Repair Kits "are rare items that [Bethesda] plan to award to you for free as you take on various types of in-game content", while Basic Repair Kits "will be unlockable in the Atomic Shop using Atoms you’ve purchased or those you’ve earned for free by completing in-game challenges". And therein lies the issue. In a long, detailed thread on Reddit (thanks, Eurogamer), fans are challenging the decision to have the items available in the Atomic Shop, the same vendor in which all purchasable cosmetic items are housed. They maintain that being able to purchase the ability to repair on the fly will make it easier to survive encounters than players without the funds to buy the kits and set a worrying precedent. "We read tons of feedback and suggestions from the Fallout 76 community, and Repair Kits were a popular request that we wanted to get into players’ hands," Bethesda said when introducing the kits. "We also felt we could try out something new with these, both in-game and in the Atomic Shop. As we look to the future, we’re exploring ways we can bring other community-driven ideas to the game as well, such as refrigerators for C.A.M.P.s, ammo and food converters, and even the ability to send scrap to your stash without having to head home. "Repair Kits are our first attempt at a utility item like this, and we plan to make adjustments based on your feedback, so we hope you’ll share your thoughts with us when they go live later this month." "I have no issues with [the kits] availability to players," said r/OrphanFeast87. "I’m just concerned over the slippery slope effect regarding potential paid items that DO effect gameplay directly; something Bethesda said they wouldn’t do. I’d be satisfied with the ability to make atoms a little more easily as a trade off." "I don't mind that someone who doesn't have a lot of time to play the game, but can contribute money to help the game development is able to get some convenience items to make their short play time more enjoyable. As long as it's reasonable and only a convenience and not a major advantage," added r/Psychedelic_Samurai. "What I do have a problem with in the case of repair kits as Atoms only, is that it is a band aid solution to horrible weapon durability in the game, and incentivizes them to keep it in this awful state. "Couple that with caps becoming less useful in the late game, there really should be some useful consumables they can buy. This would give high level players things to spend caps on, and a reason to trade and contribute to a player economy." "I strongly dislike the idea of selling anything in the Atom shop that affects gameplay directly," wrote r/Endus. "These repair kits qualify. That kind of business model makes sense for a free-to-play game that needs to monetise SOMETHING, but I paid full price up front for Fallout 76. As did many others. With the promise that future content would be free. This is future content. That isn't free. That's a broken promise, and that matters, if this goes live as expected."